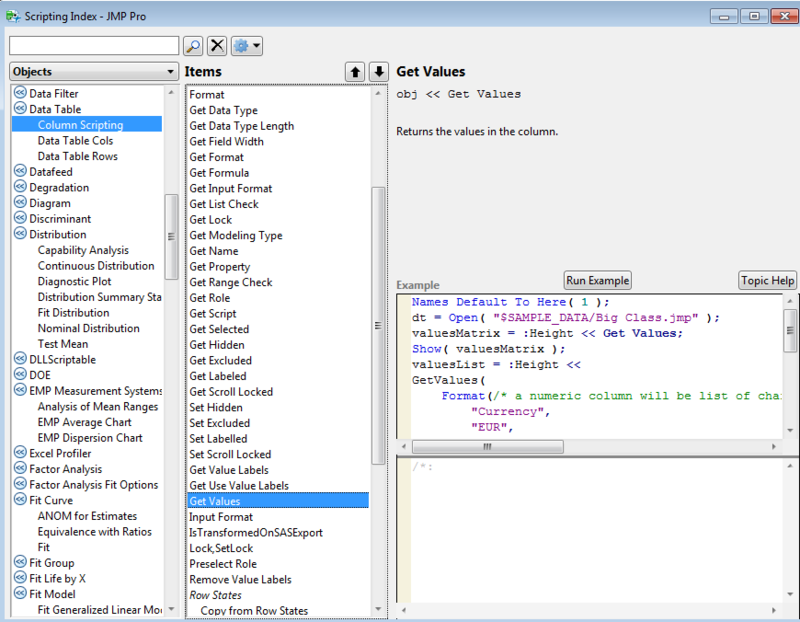 Notice that the script contains the columns assignments that have been performed, namely the association of the columns weight and height to the Y and X axes respectively. In these examples :weight, :height and :age are known as column variables. 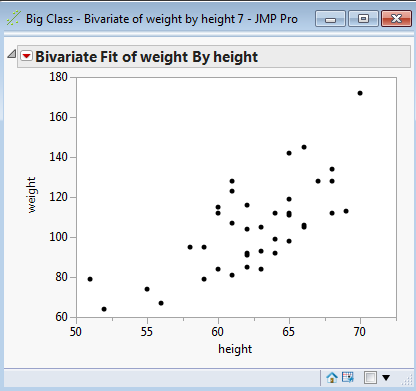 They are unique to JMP and make it very easy to create scripts to replay a particular form of analysis. 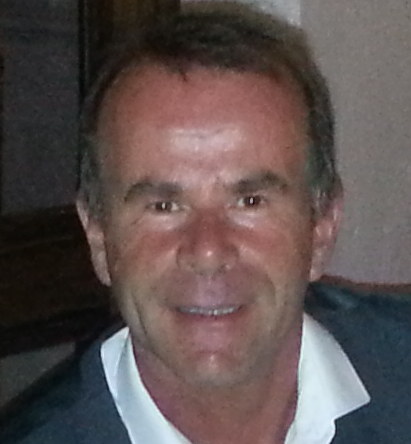 But they are somewhat tricky if we want to apply programming principles to the code in order to make it more general. What exactly is :weight? It is a reference to the column weight in the current data table. We know it is a column reference because of the colon notation. This might seem a bit perverse. If I know the column name why not use the default notation :weight? As I said earlier, we often want to make code more general and to do this we need to use generalised variables. In the example of the for-loop above, I put an annotation “do something useful here”. What could I do? Perhaps I want to create multiple bivariate plots, all with weight on the y-axis but each with a different variable on the x-axis. I’ll leave it as an exercise for the reader to modify the code so that the redundant graph of weight versus weight is not produced! Sometimes the auto-generated code that is produced by JMP will look different and it’s possible for you to follow the above logical sequence and end up with code that doesn’t work. So let’s look at why this happens. What is it doing? Maybe converting height from units of feet to units of inches? Or maybe the column name is “height / inches”! Let’s say we change the name of our column from “height” to “height / inches”. 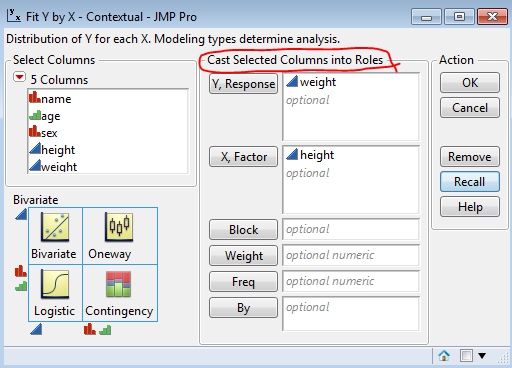 In the first instance the associated JMP generated column reference is :height. Notice two things. The colon is replaced with :Name, and the name of the column is now a quoted string. However, this doesn’t work. The :Name notation requires an explicit text string. There are ways to achieve this but that would be a lengthy description. However, we don’t need the :Name notation because we are not trying to create a variable with the same name as the column. So we just need X( col ) as in the original example. You may have noticed that edits create far larger scripts! And embedded within that extra code are additional references to column names. These references also need to be replaced when we generalise the code to use variables. Nice idea, but it doesn’t work. The variable colName is not achieving the desired result of changing the x-axis font to bold. Earlier I illustrated a trick that used the Eval() function, but that doesn’t work either. There are three possible solutions to this problem, and they will be the theme of my next blog update. There should be one consistent way to do things. JSL is notoriously bad for that. Agree. Suffering from those tricks the computer scientists at SAS play. This continues to be a very popular blog post – I’ll try and give it a refresh for the new year!